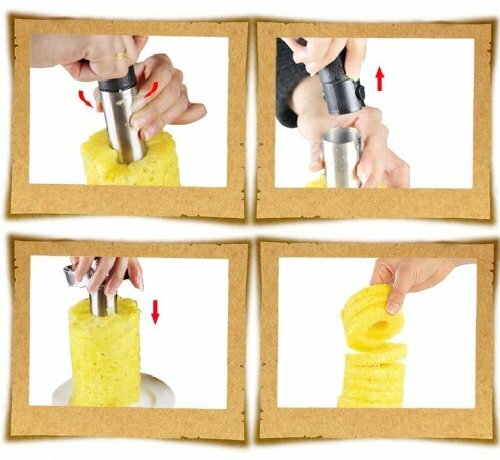 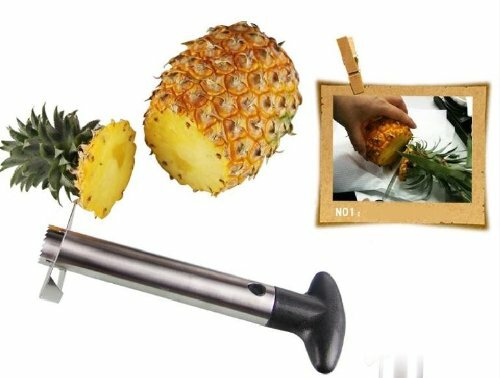 If only there were one kitchen gadget that was a pineapple corer, peeler, and slicer in one. 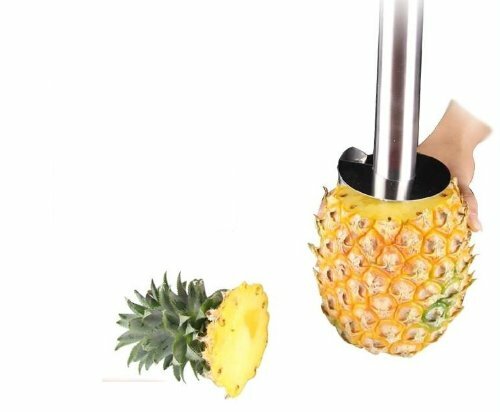 That would make luau night prep go so much quicker! 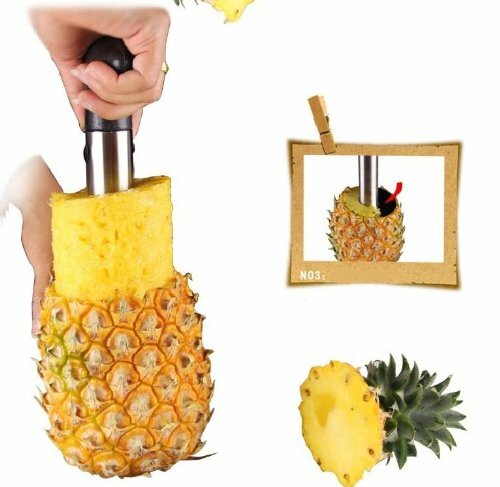 Well such a gadget does exist! 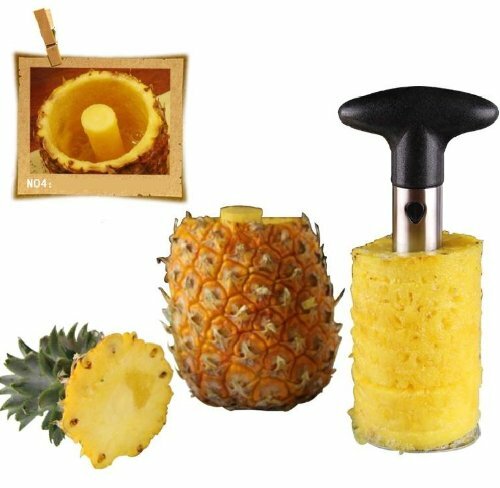 🍍 This all in one tool will save you as you prep your juicy tropical fruit. 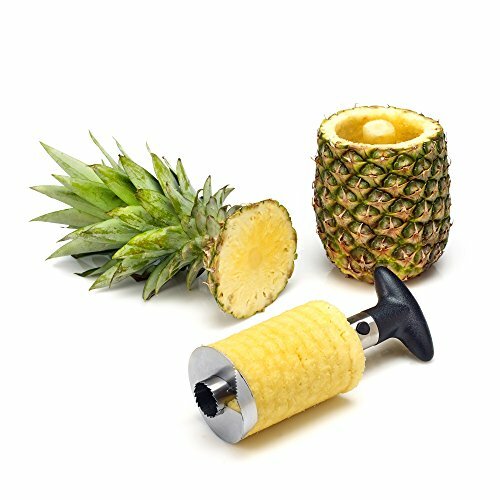 DURABLE MATERIALS - Spiral Slicer blade is manufactured with high-quality stainless steel brushed metal for optimal longevity.The Spiral 3 in 1 Pineapple Corer, Slicer and Peeler works like a cork screw, eliminating the flesh in effortlessly formed earrings while leaving the core in the shell. 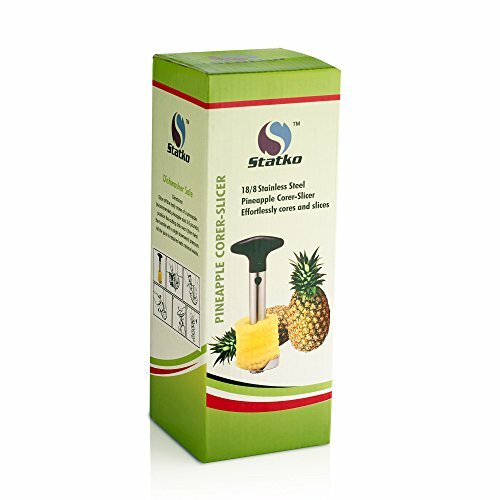 The pineapple covering remains intact so you can use it for serving a sweet or fruit salad.